Jones, Skelton & Hochuli Attorneys Jay Rosenthal & Ryan Pont Obtain Unanimous Defense Verdict | Jones, Skelton & Hochuli, P.L.C. Karen Moore v. Martin R. Altamirano and Integrated Landscape Management, L.L.C. 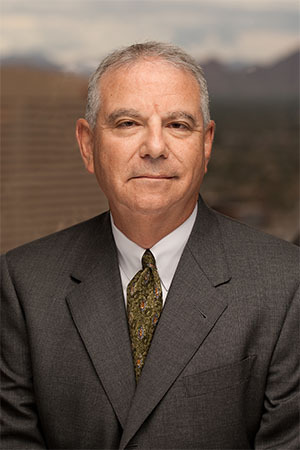 – Jones, Skelton & Hochuli Partner Jay Rosenthal and Associate Ryan Pont recently obtained an unanimous defense verdict after a six-day trial in Maricopa County Superior Court. The client, a landscape business, had backed a landscape vehicle into a car Plaintiff was driving at a low speed, causing damage to the front of her vehicle. The damage to the vehicle was minimal. The Plaintiff, however, initially claimed over $400,000 in medical expenses for various surgeries and treatment. The defendant company admitted fault for the accident, but disputed whether the minor motor vehicle accident caused Plaintiff’s alleged injuries. The defense was based on the general rule that damages are limited to those proximately caused by the negligence of a defendant. The defense argued that the plaintiff had pre-existing and unrelated degenerative conditions. Plaintiff argued that she was an “egg shell” party, and the accident caused her injuries and subsequent surgeries. After the parties presented their cases, the Plaintiff asked for an award of $725,000; the defense recommended the jury award Plaintiff $30,000 to $40,000, at most, if it found causation. After deliberating for less than one hour, the jury returned a defense verdict. Jay Rosenthal represents clients in the areas of commercial litigation, catastrophic injury, tort, construction defect and insurance defense. Ryan Pont is an associate in the firm’s Professional Liability and Bad Faith Trial Group and focuses his practice in the areas of auto and premises liability.